Golf South is a local golf news magazine for golfers in Berkshire, Buckinghamshire, Oxfordshire, Greater London, Middlesex, Surrey and Hertfordshire. Covering the latest in golfing news, products, courses and lifestyle, Golf South fills a vital gap in the market for a locally-focused golf publication. While many golfers enjoy reading about the professionals, there is little media that also covers local competitions and results. 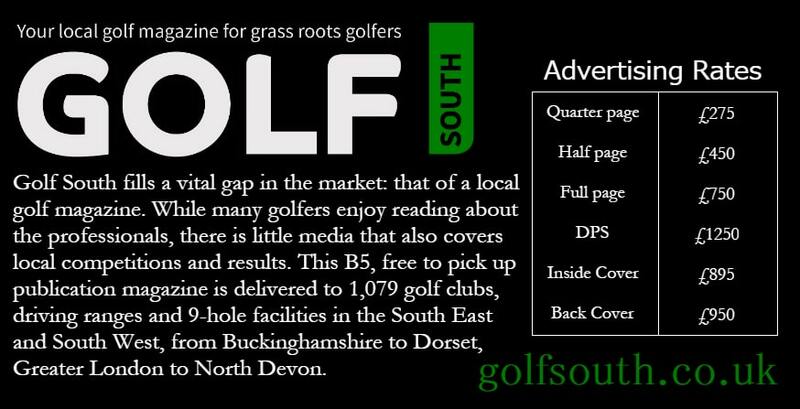 This B5, free to pick up publication is delivered to golf clubs, driving ranges and 9-hole facilities in the South East and South West, from Buckinghamshire to Dorset, Greater London to North Devon. The magazine contains a mixture of highly localised editorial with the addition of all the national and international golfing news and events as well. Every issue also carries an in-depth profile of a player from the past and present as well as comprehensive local and national competition listings. Golf South Magazine works closely with England Golf as well as the local Golf Partnerships, bringing you a dynamic view of the game in your area. In addition, the 80 page magazine also brings you reviews and news of all the latest equipment, fashion and holiday ideas. Golf South also has a central website which has all the latest news and equipment reviews as well as carrying a full readable online version of both magazines.